The first major contribution made by America to world music was, of course, Jazz, and many “classical” composers absorbed its rhythms and sounds and used them as the basis for their music. One of the most famous of these was George Gershwin, whose Piano Concerto in F combines perfectly the energy of Tin Pan Alley and the richness of the Blues. 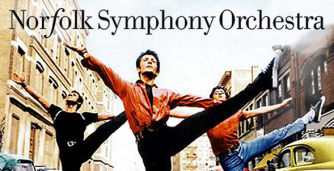 Even more wildly abandoned is Bernstein’s music to West Side Story with its mix of Latin dance and 50s swing. The other great contribution which America made came much later, towards the end of the 20th Century. This was minimalism, with its bewitching, hypnotically repeating patterns. Perhaps the most famous minimalist composer is Philip Glass, whose string piece Company was written as incidental music to Samuel Beckett’s play of the same name.